Destiny is a fickle lady. That November she let her ties loose on me. Everything has been said and written on that fateful 13th. This, is just another testimony I wanted to turn into a resonant keepsake I could hang on to. November 2015 was a busy month for me. 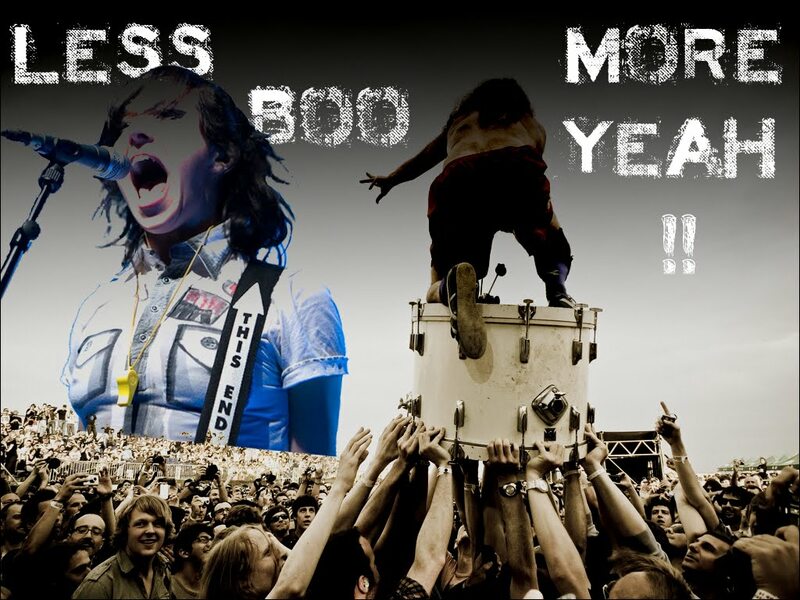 Something special I really looked forward with the forthcoming gigs of Garbage, IAMX, Eagles Of Death Metal and Le Butcherettes, all of them within two weeks !! I was quite excited and had planned to see the four. One might be particularly tricky though. 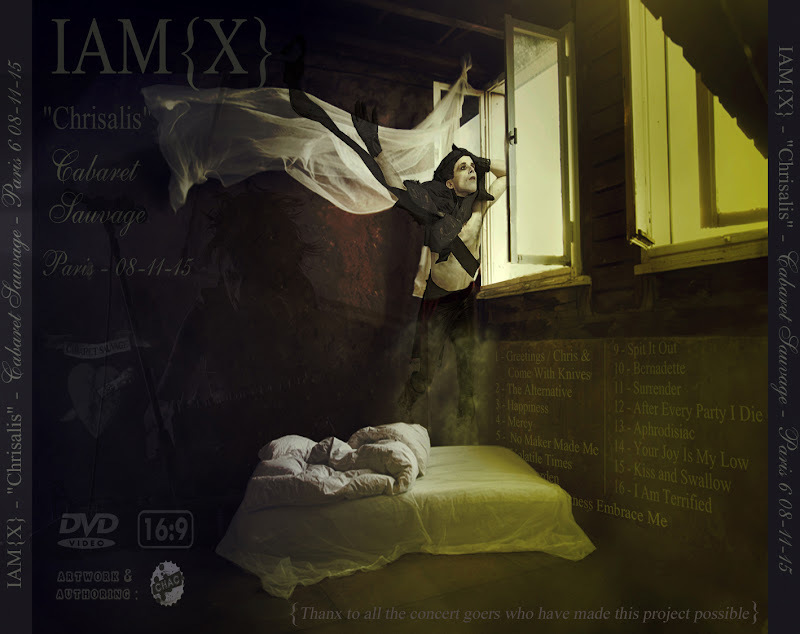 IAMX was scheduled on Sunday, the 8th, with a subsequent 1,5 hour-long train trip back to my place the following morning, plus one hour drive to be on time at work with only a tight 5mns leeway in the whole move. I've never been fond of early rising and this was definitely one ! The whole thing seemed doomed and I started to consider the EODM and Le Butcherettes concerts the week after as a much easier option. 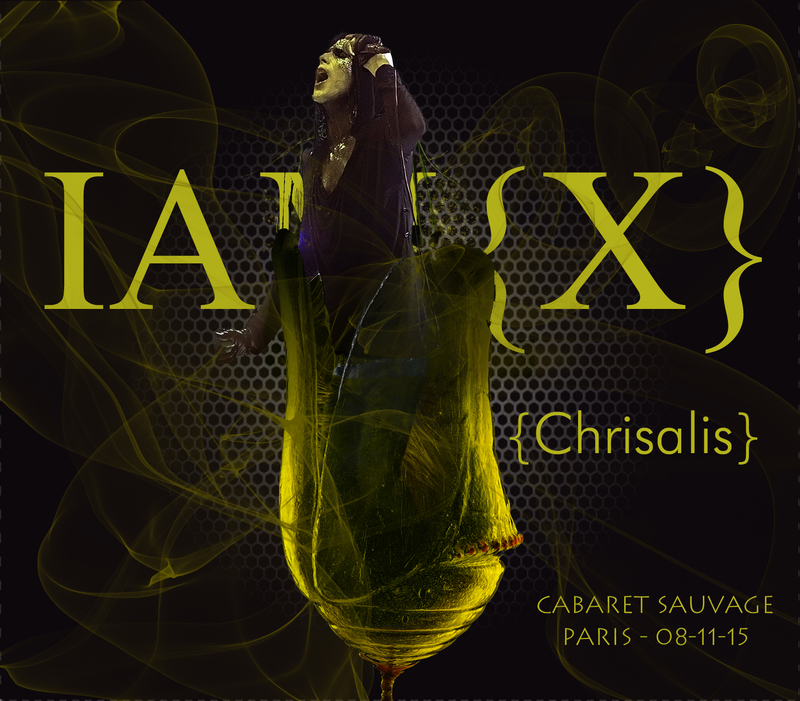 More, I would just be on my own to the Garbage and IAMX shows while I would go up to Paris with a bunch of friends the week after. The EODM and Le Butcherettes shows were set on Friday and Saturday, so no bad-hair day on Monday, and parties were held on the two nights, where I could join back my pals afterwards. Everything looked excitedly promising ! One week before the Garbage IAMX shows, a friend (Hi Eric !) called me to say that he would go and see IAMX with me if I stayed for lunch with him and some other good old friends on Sunday. This and being a fan of Chris Corner for more than a decade without being able to see him live once quickly prompted me to change my return ticket. So here is this very special concert I didn't know would later intensively stand out among all the others I'd been to up then. The band was in a good mood. So was I. Spending a whole afternoon with good friends, eating and drinking, puts you in the right shape to attend a concert ! That's why I was more in fully enjoying the show than filming. I usually try to find the right balance between the two but when I had a look back at the photos a short while after, I realized I was definitely more in the carpe diem mood than in keeping some nice memories of my first IAMX show :-). However, because of what that day was and would mean later to me, I wanted to keep some personal footage of the night for this dvd. I was in the mosh, waving, jumping, screaming (sorry for the singing along on some tunes !). Most of it is shaky, with raising hands in the way. That's why I tracked some less "soaked" ;-) videos of the night on the net to mix them with what was worth keeping from mine. So, here is the "rough" result, a multicam dvd made of two, sometimes three different sources when available. I tried to do my best on the technique and had sometimes to demux sound and image to keep the "best" soundtrack and then paste and sync it to another source to get the full song. Also, even if I wanted to really want to put this particular gig to the front, I sometimes had to partly turn to other shows of the tour because of lack of decent material for the night in Paris (Aphrodisiac, Surrender, ...). As though that weren't enough, Chris and his lads are very well-known to keep their secrets in dim-lit darkness live ! So, it's far from being perfect. I guess this one is for fans only for the all the reasons forementioned but I tried to be sincere and to pay tribute to the band and the singularity of the night. A week later, I finally didn't go back to Paris with my friends. I can't really remember why, already been there the week before, short of money, work, ... let's call it fate. But I do remember what I was doing at the time the news broke. Some friends were at le Bataclan, to enjoy what every concert of Jessie and his buddies is, fun and rock'n roll ! One of them got shot in the arm. He's fine and out of this hell now but still trying to recover from his wounds. Thank you for being around that day, Chris. Peace & Rock'n roll to you all ! Thanks for letting me know ! I updated the size but skipped the type ! It has now been updated as well as the faulty part09. Hope everything is alright now ! Is there any chance to reupload file number 9? I really would like to finish it. Hi Tom ! I've just checked the new part 9. Everything should be working fine now ! This is a scrappy warts and all dvd but comes with a special taste to me. Hope you'll enjoy though ! Cheers ! It´s working now. Thanks so much for sharing it again.